Economical, Time Efficient Way of Obtaining Your Accelerated Online Christian Education! At NCU we practice online open enrollment which allows students to enroll and graduate during every month of the year. This educational ministry is recognized as an IRS 501 (c) (3) Religious Organization in the United States and our educational programs are recognized as Exempt from governmental regulation. FREE to apply now! No application fees required.. Apply Online Today for a 90-day degree program and Save Not Only On Fees and Tuition costs, but Also Valuable Time! Study to show yourself approved unto God, a workman who need not be ashamed, rightly dividing the WORD of Truth. NCU Fast Track 90-day accelerated degree programs utilize PLA (Prior Learning Assessment) also used by major colleges and universities. *Qualified by appropriate life, ministry and educational documentation expressed though the NCU PLA (Prior Learning Assessment), transcript supported transfer credits, educational modules, thesis and dissertation requirements. Today most colleges and universities are providing the great benefit of PLA (Prior Learning Assessments), for their more experienced students, to translate lifetime learning experience into credits to be legitimately applied to degree programs. This translates into huge savings in both time and educational expense. NCU is providing this great benefit to all qualified students. 98% LESS costly than private universities! There are NO hidden fees and even the books are Free! No associate degree required to enroll in any Bachelor Program! "Celebrating over 37 years of Christian Educational Ministry"
Once accepted, you can enroll with small 0% interest monthly payments! *See Application Page For Payment Options! Do these concerns apply to you? Have a desire to study online and prepare yourself for a Christian ministry field, yet do not know where to start? Felt a call of God on your life but do not have funds for paying high costs of degree programs in traditional universities? Desire to study but your time is limited and not sure of how much time you can actually dedicate to your studies? You desire to obtain a theologically accredited online Accelerated Christian university degree and save time by not repeating courses you have already completed? Desire to save more time and expense by receiving credit for your previous life, employment, military, training certificates and prior educational experience? Desire to begin your 90-day Accelerated Online Christian University degree program without delay and work at your own pace without having to wait for beginning of a new semester? At NCU you can begin immediately! The NCU 90- Day Accelerated Online Christian University Opportunity may be the solution you are in search of. You are in the right place at the perfect time!. 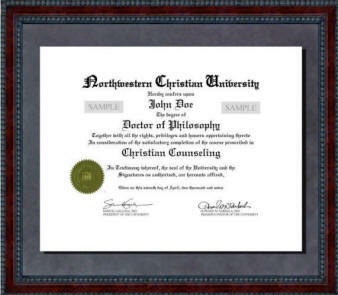 Northwestern Christian University, a division of Christian Alliance Ministries, has been established to serve the Christian community in achieving their goals of obtaining a theologically accredited Bachelor, Master, or Doctorate Degree in various fields through Accelerated Online Christian education. NCU Accelerated Online Christian University Degree programs are part of an educational ministry that has been serving Christian students for over 35 years. At Northwestern Christian University, you can earn theologically accredited, online Bachelor, Master, and Doctorate Christian Degrees in ten fields of advanced study including theology, through online distance education. Be sure to select your field of study on the NCU application, which you can submit electronically today. Allow us to assist you in obtaining your Bachelor, Master, or Doctorate Accelerated 90-Day Online Christian University Degrees through our specialized research based programs. It is possible to get credits for courses already studied, as well as education obtained through conferences and even classes taken at your own church, other Bible Colleges, job or military assignments. Also, you can receive some credits for Life and Ministerial Experience. The system of qualifying such credits is used by major universities in the United States. many appropriate credits can be supported through your secular work experience, Educational Records, and Ministerial Experience. The balance will be fulfilled through NCU formulated educational modules, thesis (or) dissertation. A Bachelor Degree at NCU qualifies for acceptance to NCU Master's Program and a Master's Degree qualifies for acceptance to NCU Doctoral Programs. BA, MA, ThD and PhD Programs are all provided at NCU eliminating the need to transfer to another University. You will NEVER be required to buy text books at Northwestern Christian University. Our Moodle Course Management System (CMS) will provide you with all required assigned online books for each of your online courses in e-book format. For additional research and learning, you will always have free access to our 40,000 free e-books, through our state of the art ONLINE LIBRARY, the NTSLibrary. Northwestern Christian University is financially sustained through student love offers in lieu of tuition and donations only. ANY QUESTIONS? Carefully Read Thru The Website Pages. May God lead and direct your path as you seek to obtain your Accelerated Online Degrees by way of our Online Christian University learning programs.